This last Monday, mothers, fathers, and teachers gathered to participate in a powerful presentation by Rabbi A.M. Segal of Machon Kivunim in Eretz Yisroel. Despite difficult weather conditions, participants braved the snow and ice, for the sake of their children, to join this event which was graciously hosted by Beis Medrash Ohr Chaim. Rabbi Segal presented on communicating with children and provided powerful insights on the importance of listening to children and practical guidance on how to achieve this. It was a very powerful presentation which included a moving video of a child and his experiences at home, in school and with his peers. 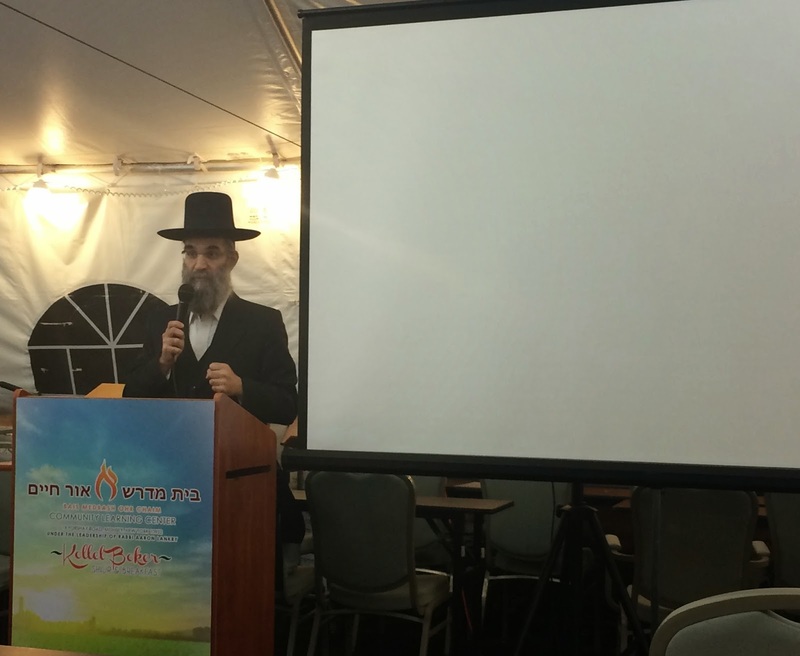 Rabbi Segal analyzed the video and used the various scenes to point out correct and incorrect approaches and behaviors. The evening was sponsored by Lev Banim. הנה אנכי שולח לכם את אליה הנביא לפני בוא יום ה' הגדול והנורא. והשיב לב אבות על בנים ולב בנים על אבותם. The Novi tells us that Eliyahu Hanovi will come and bring peace between the parents and their children. Apparently, certain rifts will take Eliyahu Hanovi himself to repair. 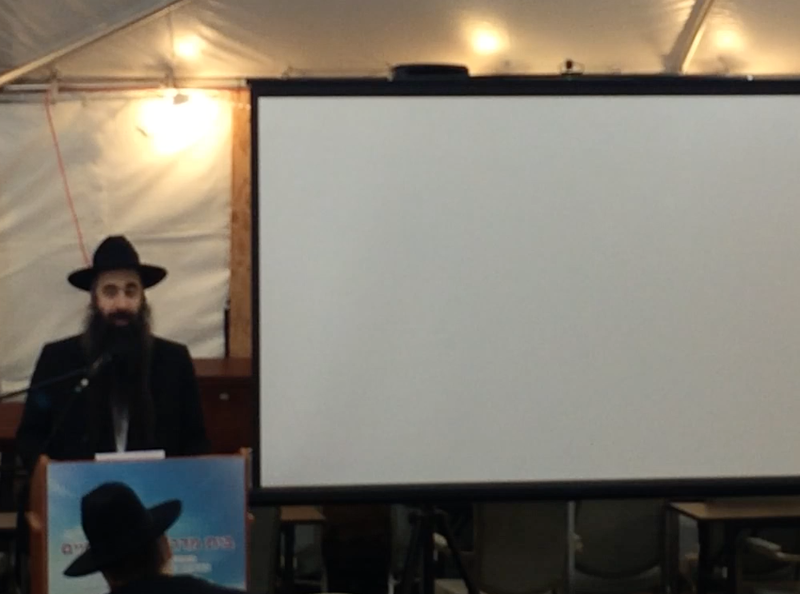 On the other hand, the Rebbe says that through working to connect parents with their children we can help hasten the coming of Eliyahu, and hence Moshiach. Also, the Rebbe has tasked us with living with Moshiach already now. So if we can find ways to bridge the gap, as the Rebbe writes, we can do both. Lev Banim is an organization whose goal is to promote communication and connection between parents and children. One thing that Rabbi Segal mentioned is that we are living in a generation of connection with no communication. Lev Banim’s vision is to help hasten the fulfillment of the Nevua of והשיב לב אבות על בנים ולב בנים על אבותם. We feel that, as as stressed at the workshop, the most powerful way to do that is to listen and hear what is going on in the hearts of our children – Lev Banim. Lev Banim will, IY”H, be working to provide resources to parents to help facilitate building and strengthening our relationships with our children, through workshops like this, activities for parents and children, and counseling. Information on future events and a website will forthcoming, IY”H. For more information, please email rhami@monseychabad.com.